Long’s mother Trần Thị Đào told me that her husband, a fisherman, had caught some dưa early that day. “The eel looks angry but its meat is very lean, tasty and especially suitable to make fried minced eel,” she said. Long’s father Lê Ngọc Lượng said this kind of eel lives in warm sea or river areas and is popular in the province’s Ngọc Vừng and Cô Tô islands. “I’ve been working as a fisherman for many years but only a few times have I caught dưa, I decide to give the eel to my relatives and friends as a special gift,” he said, noting that his wife can cook chả cá dưa very well. “After gutting, I often use a spoon to grate the lean meat. This way helps me to remove almost all bits of bone that make the dish less tasty,” she said. Long’s mother mixed the fresh dưa with its attractive pink colour with spices, minced dried onion, garlic, dill, peppers, pork and several spoons of rice powder. The finished dish is crispy, aromatic and deliciously greasy. “The dish can be eaten with normal rice or sticky rice and with noodle soup,” she said. Hoài said bơn on the island is much tastier compared with other areas, as the island’s red bơn fish are best for frying, she told me. 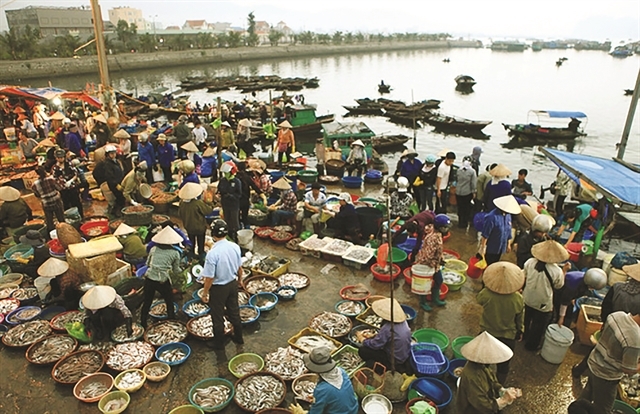 Hoài said for a good bơn dish, several fresh squid and peeled shrimps and quality fish sauce are needed as well as the Long’s mother used to make fried dưa. “The added squid and shrimp makes the dish more aromatic, sweet and greasy compared with other fried fish,” she said, noting that visitors to Cô Tô love this dish. 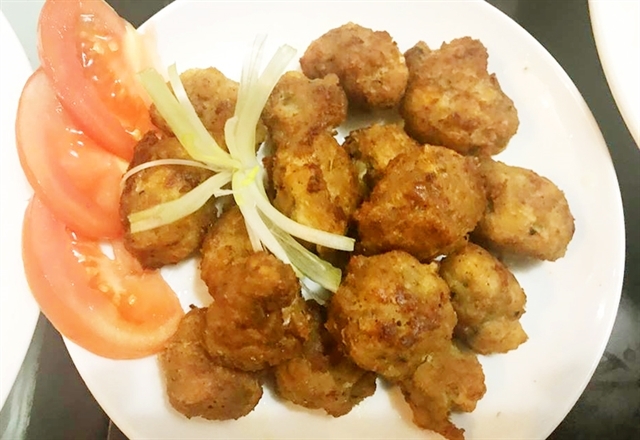 Herbalist Tạ Huân said fried dưa and bơn are very good for people’s health as they are full of nutrition and vitamins A, B2, B12, and PP.